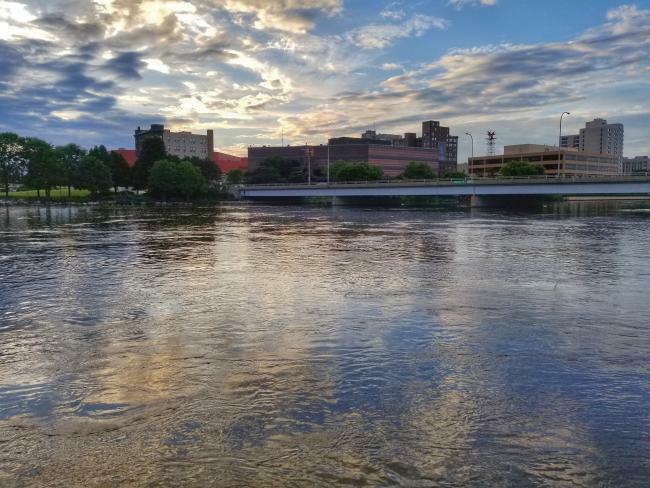 The Rock River flows like a majestic giant in front of a background of historic buildings and quaint homes. 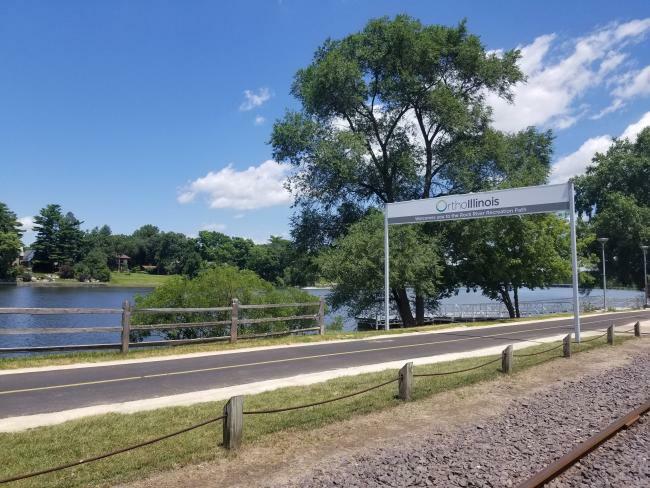 The river is an asset to Winnebago County and provides countless hours of recreation, relaxation and views to our residents and visitors. Our beloved river was recently recognized as a National Water Trail by the National Park Service. The Rock River Trail stretches from the headwaters in Fon Du Lac County, WI to its mouth at the Mississippi River in Rock Island, IL. A list of my favorite places along the Rock could stretch as wide as the river itself, but I am going to narrow it down to my top six picks for you to explore. Picture sitting on a patio, holding a refreshing craft beer on a warm summer evening as the sun is setting and casting a breathtaking reflection across the water. If this sounds inviting, Owly Oop is the place for you. I strongly recommend the pretzels as a snack at this hip sports bar located inside the UW Health Sports Factory. Grab a few friends and head down to Owly Oop to catch the game. This is the perfect date spot. As an agriculture major, I have a deep appreciation for growing plants and enjoy stopping by the area during different seasons. I am most impressed with the tropical vegetation inside the building. The gardens outside are equally impressive and provide the perfect couple of hours for a stroll. Weddings are common here as well as picnics. If you’re looking for a little more activity, the Sinnissippi bike path runs alongside the river through this area and offers fantastic views. I love old buildings, so Prairie Street is naturally one of my favorite places in the city and it happens to be along the river! Dinner on the Dock occurs on Thursdays and takes place, you guessed it, on the dock. Food is offered as well as live music, and of course, craft beer. The atmosphere is electric and has been compared to a beach party right in Rockford. At City Market, I typically grab a plate of tacos and head down the hill to Joe Marino Park to sit and eat, while enjoying a view of the river. The trees provide some needed shade and the picnic tables offer a break at City Market. Millennium Fountain is nearby and provides an overall pleasing aesthetic that compliments the downtown area, especially on a hot day. 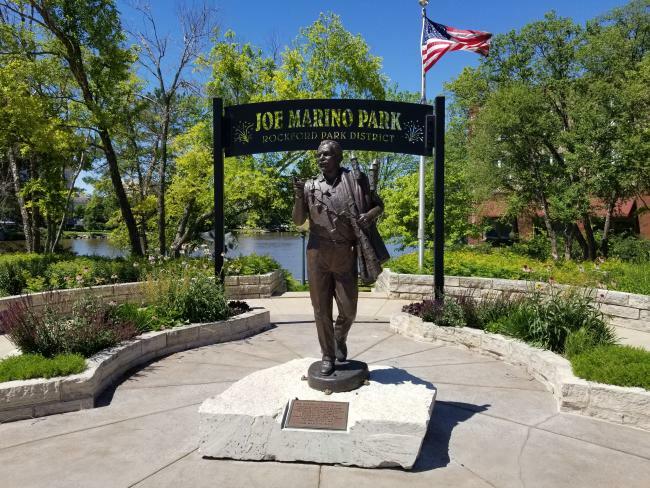 Located in Rockton, towards the north end of the Rockford Region, this park is a great place to stop after strolling the streets of downtown Rockton and grabbing a waffle cone from Dairyhaus. A quaint gazebo provides the perfect place for a group of friends or family to hang out. The Rockton River Market takes place from 4:00 p.m. to 8:00 p.m. on Wednesdays at Settlers Park and features live music and fresh local eats. 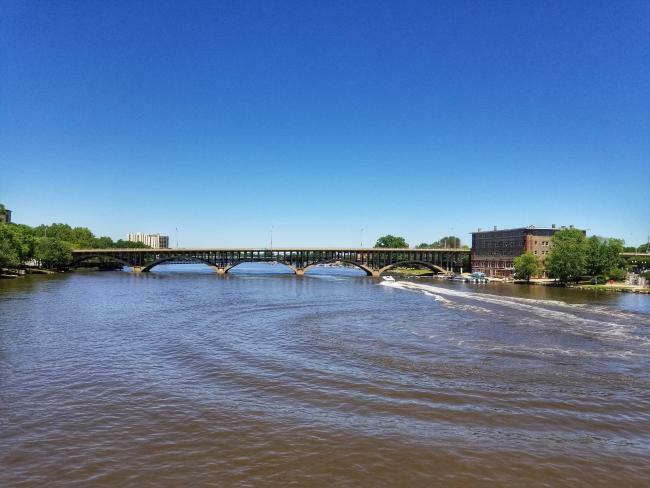 This might seem obvious, but the best way to enjoy the Rock River is actually on the water! Whether it’s on a boat with a few buddies or kayaking with a friend, the best way to enjoy the tranquility of the river is floating on it. My cousin and I put our own kayaks in at Martin Memorial Park and paddled down the river to the Prairie Street dock and went to City Market afterwards on a perfect summer evening. If you don’t have your own, Rocktown Adventures offers kayak and paddleboard rentals with easy access to the water. Whether it’s dining, exercising or boating, I personally would like to encourage you to try something new and to utilize the natural asset that winds its way through our community!